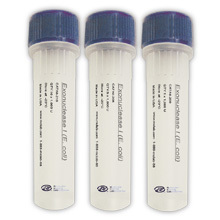 The technique reduces the risk of cross-contamination and minimizes the use of reagents. This method is particularly useful for applications in which the expression of a small number of genes that must be analyzed in many different total RNA samples, and robustly amplifing high-abundance transcripts from crude total RNA preparations. To achieve the best performance, appropriate software, such as ABI Primer ExpressTM, should be used. To achieve accurate quantification, it is highly recommended to (1) avoid any RNase contamination; (2) design probe on sense strand; (3) use primer concentration from 100nM to 300nM; (4) shorten time between setting up reaction and loading plate onto PCR machine. 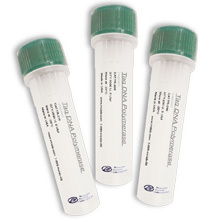 One-step RT-PCR products are faster. Sufficient reagents are supplied in the MCLAB's HoTaq One-step Real-time RT-PCR Kit for 40 or 200 rxns. Upon receipt of the kit, immediately store the components at –20 °C in a freezer without a defrost cycle. It is recommended to prevent light exposure as little as possible. * Contains regular level of ROX, dNTPs and optimized buffer components for Real-time PCR machines ABI 7000, 7300, 7700, 7900 and Stratagene Mx 3000P, Mx 3005P. 1. Holland, P. M., Abramson, R. D., Watson, R., and Gelfand, D. H. 1991. Proceedings of the National Academy of Sciences USA 88:7276-7280. 2. Livak, K. J., Flood, S. J. A., Marmaro, J., Giusti, W., and Deetz, K. 1995. PCR Methods and Applications 4:357-362. 3. Lee, L. G., Connell, C. R., and Bloch, W. 1993 Nucleic AcidsResearch 21:3761- 3766.